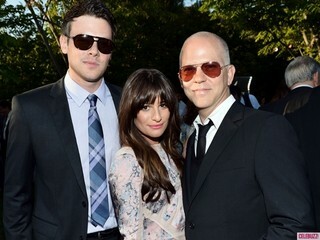 Glee creator Ryan Murphy has spoken about how the show will handle the death of one of its main stars Cory Monteith. Questions have been circling since the news of Monteith's death became public. Would they replace him? Would the show continue? Would they kill him off on the show? Murphy revealed in an interview with The Hollywood Reporter that the show would go on with the first two episodes being the Beatles tribute which have already been written. The third episode will be a tribute to Monteith. "The right thing to do for the show, at least at this point, is to have that character pass. When we do the tribute episode to that character, we'll have to do it in a way where the castmembers will not have to re-create feelings of grief that they’ve had this week -- but do it in an upbeat way," Murphy said. "If we can do this responsibly and help young people through these feelings, that’s the best that we can hope for." I often disagree with Murphy's choices for his shows, but I respect the one he is making surrounding the death of Monteith. After the third episode Murphy and the cast will go on a 'long hiatus' to figure out what to do with the show, no word yet on when the show will return. The fate of Lea Michele's character Rachel Berry was also in question after the news of Monteith's passing. Michele, Monteith's on screen and off screen girlfriend, suggested to Murphy that her not continuing with the show was not an option. Losing both of them would have been crippling for the show. Previously Fox announced that the premiere date of the upcoming season would be pushed back a week. Production which was supposed to start in late July will now start in August.